← Happy Barthday! Wait, what? 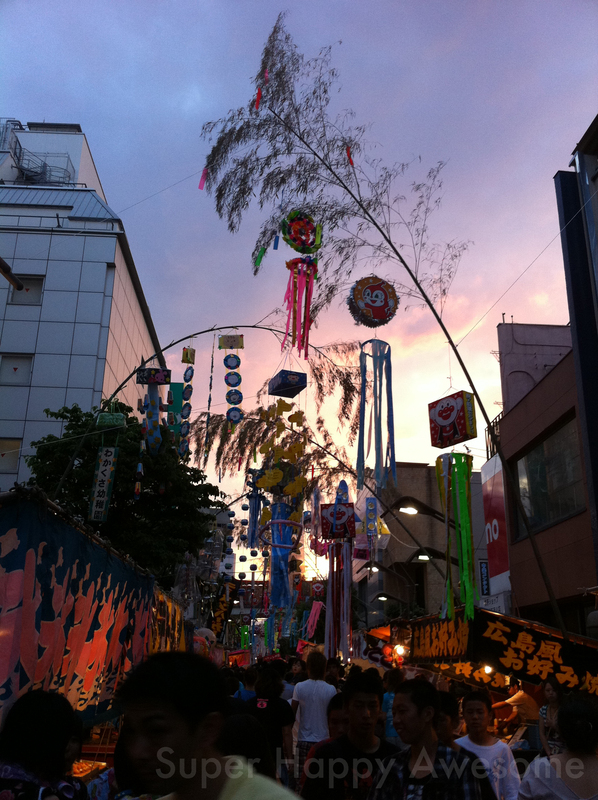 Our lovely city’s Tanabata Festival has been in full swing all weekend! 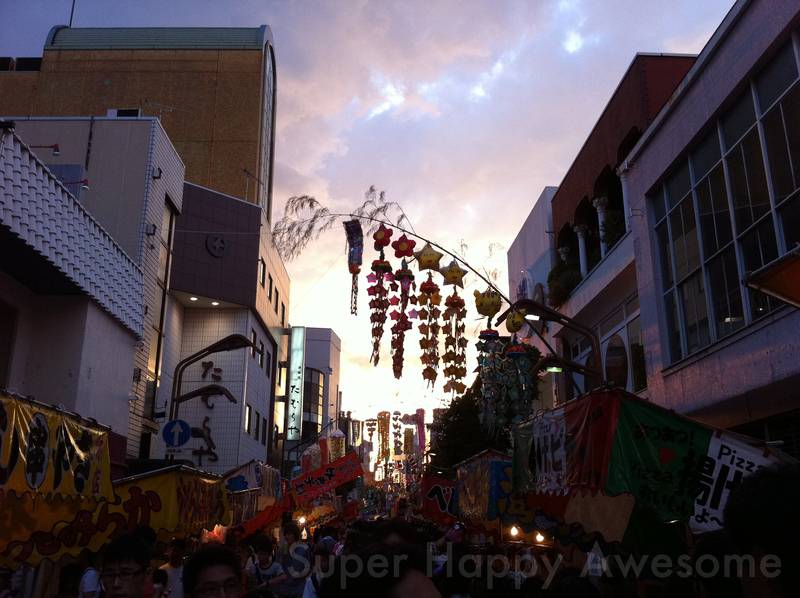 While things were a bit quiet on Thursday (Tanabata proper) the place was packed today. 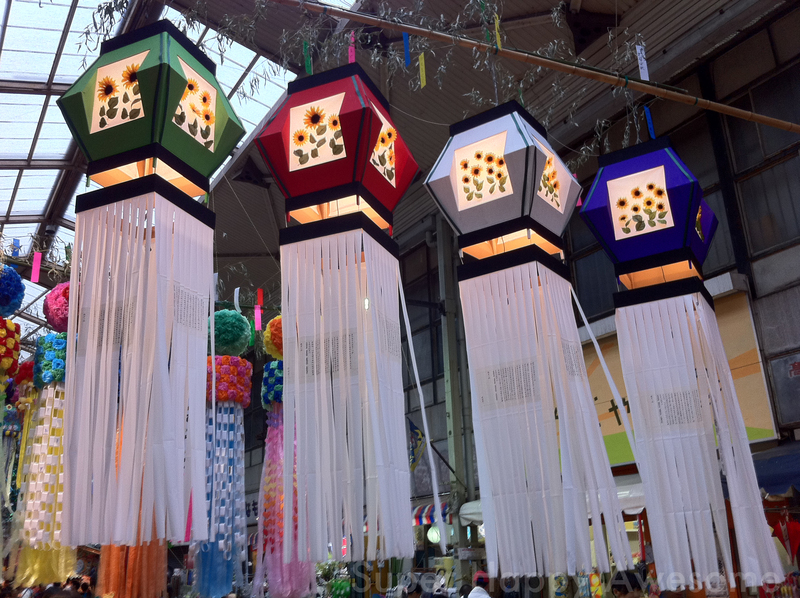 There was tons of food, games, lovely decorations and people in traditional costumes–all the good stuff you expect at a traditional Japanese matsuri! There was also a constant stream of students who reacted with varying degrees of shock and delight to see their teachers outside of school. I wish I could show you those pictures, but there are strict rules about posting pictures of students on the internet (no faces!) so you’ll have to make due with general festival shots! Also, I’m thinking about entering one of these in a regional photo contest, so please help a girl out and tell me which is your favorite! Have you ever had Turkish Ice Cream? The texture is amazing! It contains resin and flour made from orchid roots, so it’s really sticky and chewy. The smiling guy in the background had a lot of fun playing around with pretending to hand it to me, and taking away again because it was still stuck to the serving paddle. Apparently it’s a tradition to mess around! 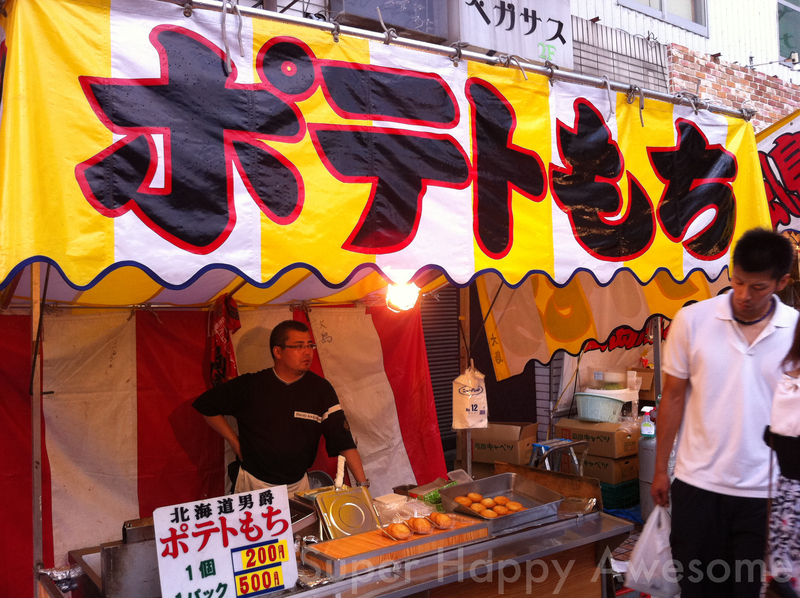 I love how you can always find the old standbys of festival food like yakisoba, takoyaki, and karage (fried chicken), but you can sometimes find new things too. I had never had these ポタトもち (potato mochi) before, and they were delicious! This かき氷 (shave ice) was glorious! 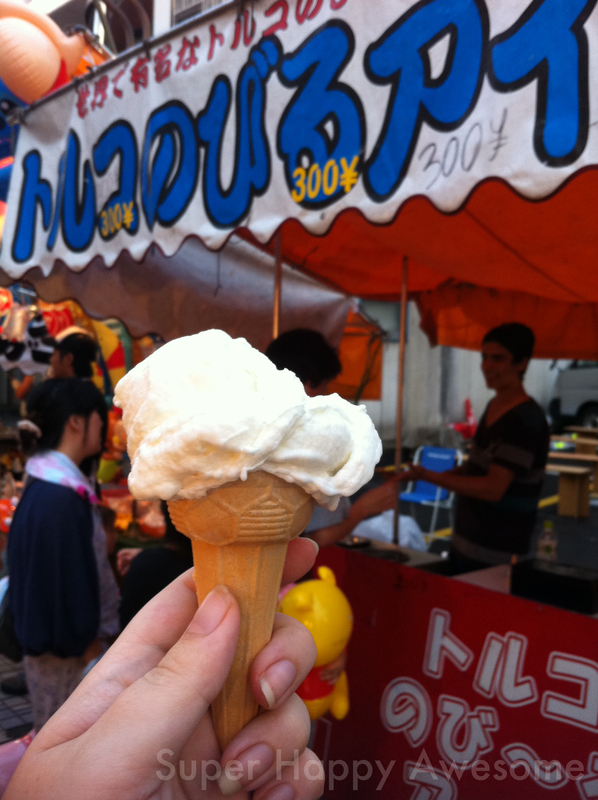 They had a traditional ice shaver, so it was much finer and more delicate than the usual festival stuff. I snagged a video of it in action, so maybe it’ll go online…Also, I had yogurt flavor, which I’d never tried before but was awesome. Tasted like Yakult-type stuff, if you’ve ever tried it. I want to go back! Even though it stormed for part of the day, there was a lovely sunset to send us home! 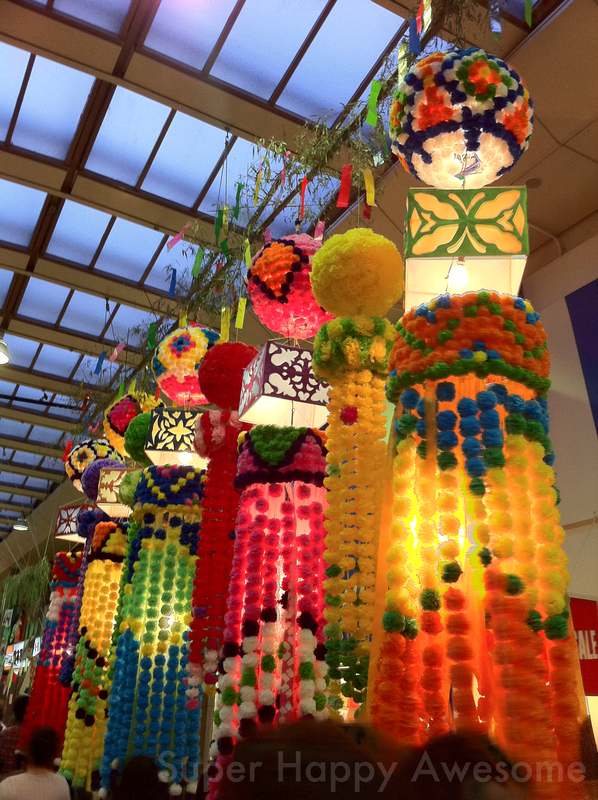 I love the pic with the four hexagonal-ish lanterns!! I like the fourth picture from the bottom – the one looking down the street. They’re all lovely though!